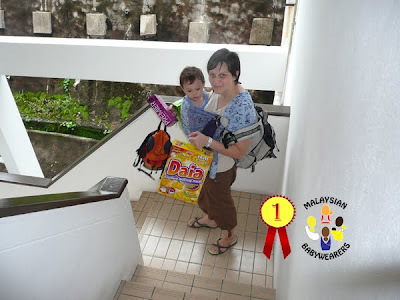 Create a tagline for Malaysian Babywearers! This one is easy... Not? 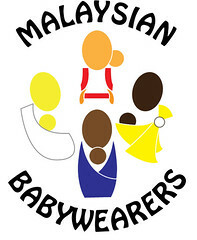 Well, all you have to do is create a tagline for Malaysian Babywearers in less than 15 words. "Wear your future, keep them closer!" "Keep your baby close to your heart"
"When babies are born, they're meant to be worn"
Put your thinking caps on and complete the following in a manner most relevant to you (in less than 30 words):"Babywearing..."
"Babywearing is when there is no other pleasure to equal the charm of that of a baby who is worn and cuddled near one's heart"
"Babywearing is an ultimate bonding as near to heart to be loved, near to arms to be hugged, near to lips to be kissed and near to body to be protected"
"Babywearing is like keeping your most wonderful and precious gift close enough to cuddle"
"Hey you! Don't you even think of it! I'm the only one she can wear!" "Haha Daddy, I know you are jealous! You thought you were the only one who could kiss her. I'm number one in Mummy's heart, the apple of her eye"
"Err... Mom, I think this "stripe" is making my buttock looks fat! Can you please wear me in plain colour next time?" 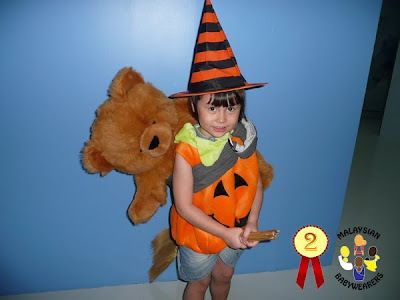 Congratulations to all the winners of the International Babywearing Week 2009 contests. Please accept our sincere apologies for the delay in publishing the results. 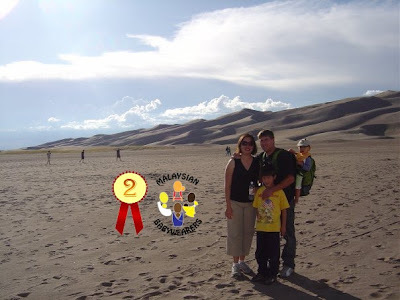 Thank you for your participation and hope to see your entries again for IBW'10! Note: Winners will be notified via email. Please email us at malaysianbabywearers-at-gmail-dot-com if you are a winner and have not been contacted regarding claiming your prize. There has been a technical fault in the loading of entries for the contests. Sorry for the delay in publishing the results but we assure you it will be within this week when we announce the winners of out IBW 09 contests. 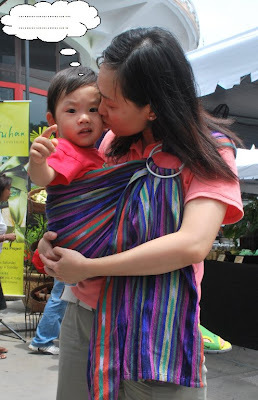 Stay tuned and Selamat Babywearing!